Welcome back for part two of Customer Service Week! This time we are gonna give you part two – Virtue of Perception. Yesterday, we emphasized the importance of maintaining an unwavering focus to better understand customers’ needs. Such a focus will help service providers place greater attention on active listening, thereby producing more accurate and positive results. For this series, we have been using Taoism to identify what we believe are the most essential virtues that underline great customer service. Why Taoism? Because Taoism is founded on a system of simple beliefs and values that are implemented into everyday life. We believe in a customer service approach that is integrated into the whole equation, not just used for problem solving or to pacify a customer. In today’s post, we address the benefits of understanding the client’s angle of perception. Your customer’s perception counts for everything. That is, doing what you think is best for your customer isn’t necessarily what they think is best. Granted, sometimes you might feel that what the customer wants isn’t good for them, but the point is that regardless of how well or accurately you execute a project, the only thing that matters is whether or not your customer feels that their needs have been met. After all, it’s a safe bet that they’re more familiar with their needs than you are. And learning to appreciate that fact is a natural repercussion of properly applied focus. Which side of the box is in front? Do you see a vase or two faces? Acknowledging the varied nature of perception isn’t the act of duping your customers or trying to make an act of service seem more important than it actually is. It’s a focus on value. Take quality, for example, a selling point for many organizations—something that we try to measure and prove with quantifiable, objective metrics, which we often brag about willy-nilly as if no other service provider had ever taken quality into consideration. Quality is perceived. It’s subjective. As a service provider, you can have all of the documented procedures, ISO certifications, quality metrics, and best practices in the world, and if the results don’t resonate with your client’s specific quality requirements—or perception of quality—then they won’t be your client for long. It’s essential to understand where your customer’s values lie, and construct your service model—and attitude—around those values. By doing this, what you deliver will better align with your client’s concept of value per dollar spent, and without fail your services will be perceived as good, if not great. Thanks for stopping by today! We’ll be back tomorrow to discuss the third virtue in the Tao of Customer Service, responsiveness, as we continue with Customer Service Week. 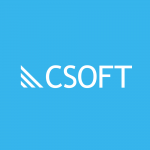 If you’re interested in learning more about localization and translation, don’t forget to subscribe to our RSS feed for automatic updates from Simply CSOFT!